Ad: Wpsubscribers - The Premium Wordpress Subscription Plugin - The Complex Wordpress Subscription Plugin To Dominate Your Opt-in Email Marketing Campaign. 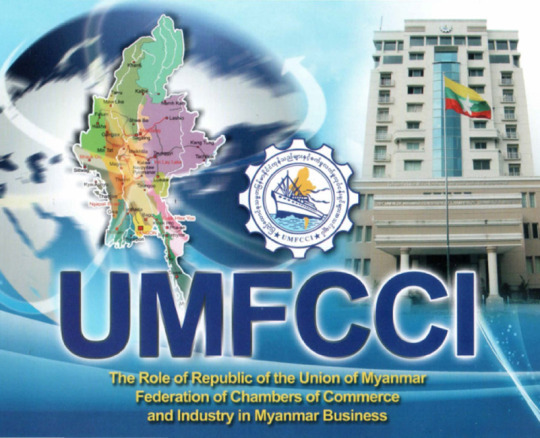 With the purpose of promoting trade, UMFCCI singed a MOU with Gyeonggi City at Yangon Gyeonggi Trade and Business Forum held in Novotal Hotel Yangon at June 10, 2016. The forum was held in order to advance economic relations between Myanmar and Korea, as well as Yangon and Gyeonggi City, which is the most populated city in Korea offering largest contribution to Korean GDP by exports. � � � � � �Chief Minister of Yangon Region Government U Phyo Min Thein attended the forum and addressed the opening speech noting that the government will do its best to welcome foreign business opening doors to international investment. He also cordially invited Korean business to cooperate and strengthen economic ties with Myanmar government and Myanmar private sector. � � � � � �Chief Minister of Gyeonggi Mr. Nam Kyungpil, Chairman of the regional parliament Mr. Yoon Whasub, Korea Ambassador to Myanmar H.E. Mr. Yoo Jae Kyung and UMFCCI vice president U Mya Han made key-note speeches respectively. Business leaders made discussions on opportunities and challenges in investing in Myanmar and negotiated for possible cooperation in near future. � � � � � �The forum was attended by Chief Minister of Yangon Region Government U Phyo Min Thein and ministers, representatives from UMFCCI and its affiliated associations led by UMFCCI president U Win Aung, Chief Minister of Gyeonggi Mr. Nam Kyungpil, Chairman of the regional parliament Mr. Yoon Whasub, Korea Ambassador to Myanmar H.E. Mr. Yoo Jae Kyung and business leaders from both Korea and Myanmar. Industrial Storage Cabinets For An Effective Stora | Industrial Storage Cabinets For An Effective Storage Solution! Have you ever thought about the consequences of buying bottled water?